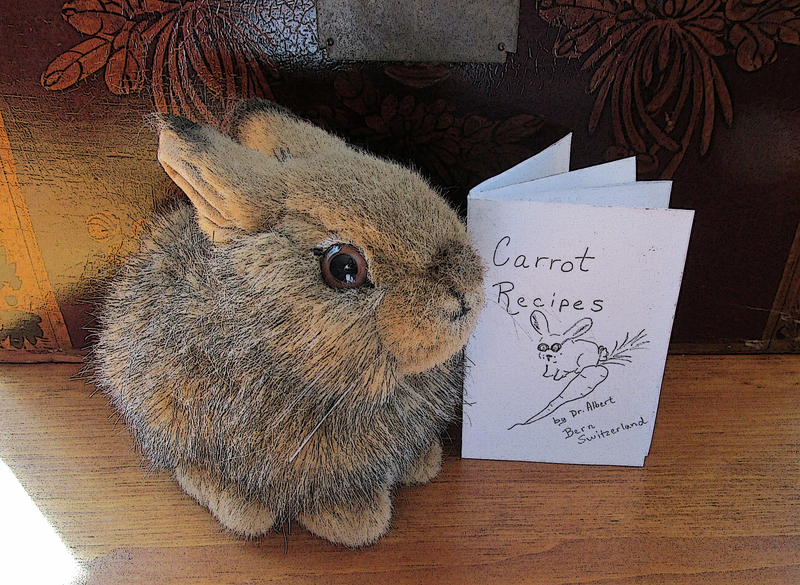 Home › Travel › Bunny makes a blank book, and you can too! 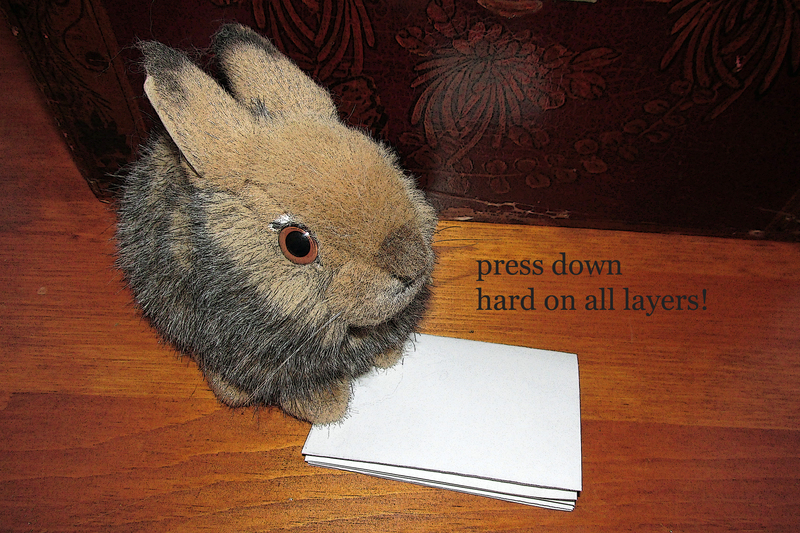 Bunny makes a blank book, and you can too! 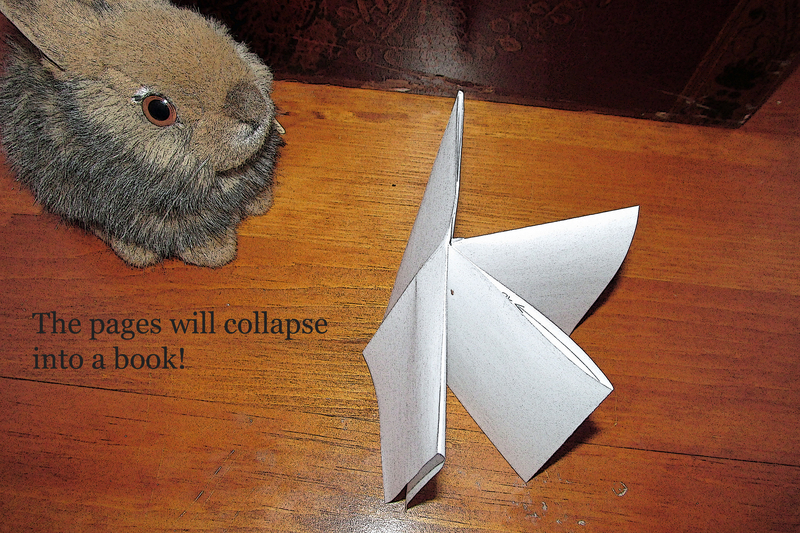 Bern Bunny was so pleased with the response to his origami page maker, that he is now sharing another of his favorite paper crafts. .The one difference I’ve noticed between this book and other easy online books is that other books are often cut across 3 sections, rather than just the middle two sections. There is no need for glue to hold the book together if you just cut in the middle sections. 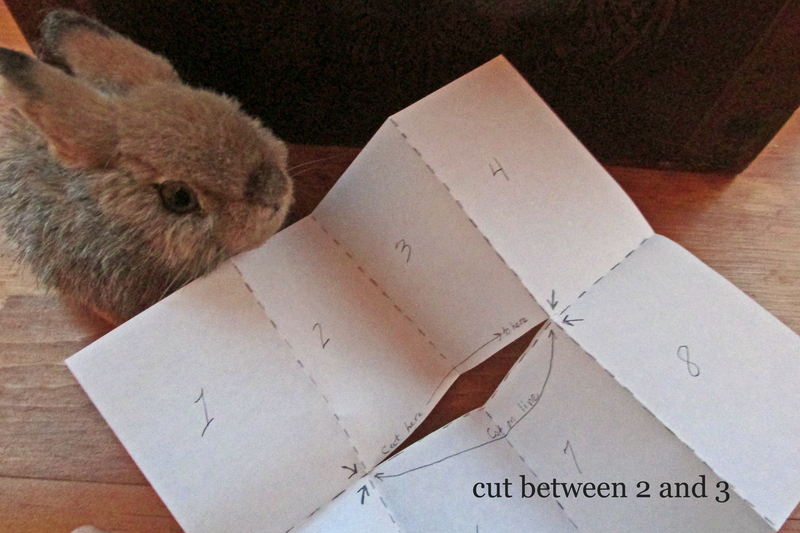 I’ve been able to do it carefully with just scissors, but an X-acto knife works best. You can use fancy papers, but as a preschool teacher I just wanted blank pages for the children. 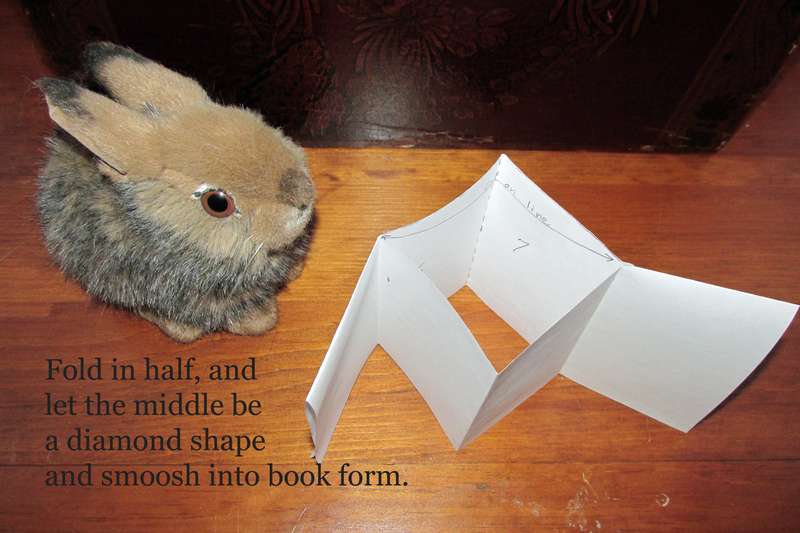 Also if you want to fold up the long edged, you can have little pockets for your book. 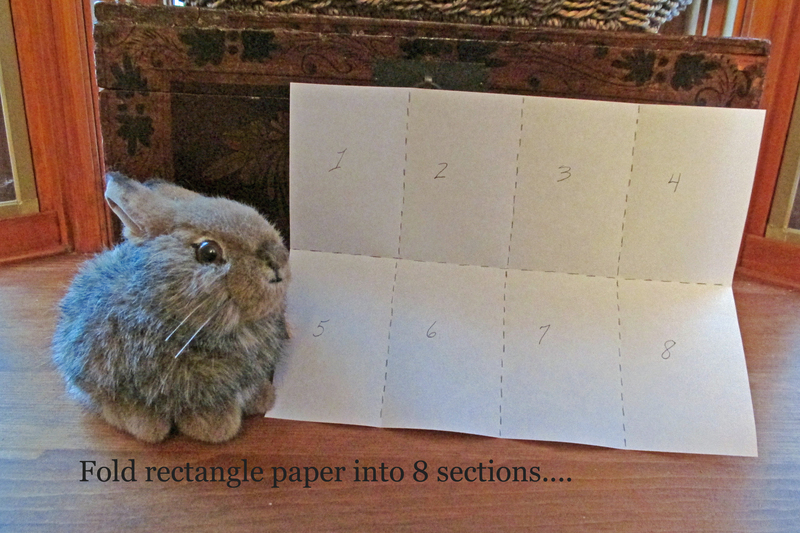 quick and so easy even a bunny can do it! 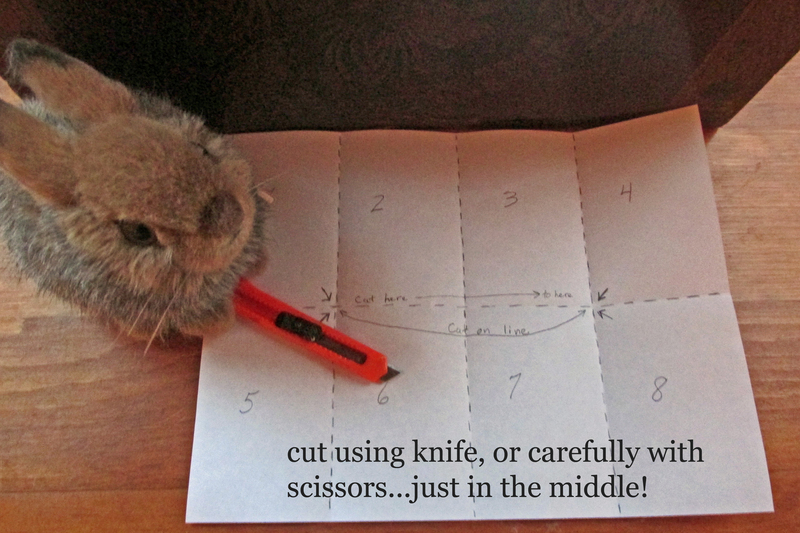 please note, “cut between 2 and 3” means just at the bottom! Not really between 2 and 3. Just that one cut in the middle of the paper makes the book!